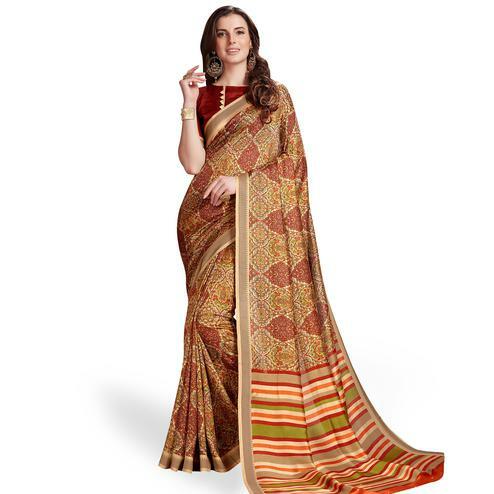 This multicolored georgette fabric saree has got checkered design digital prints and horizontal stripes print in contrast color running along with the fancy lace border. Paired with stripes design georgette blouse piece having matching lace border. Get this saree for casual outings and get together.